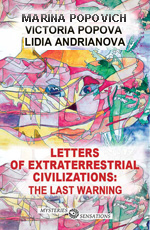 Three pre-cataclysms will be caused by extraterrestrial civilizations artificially. Thus, they save our lives. By creating certainty, they give an opportunity for our civilization to focus and make the Transition to the next cycle of life before the global cataclysms beginning. An information cell is the key to analogue principle of ETC coding. A cell presents a human being on the Information level. Trident is the key to the digital principle of coding and mostly presented in the Nazca Lines. It is identical to information cell. Number of the Beast 666 reveals ETC symbols of consciousness. This number belongs to human, because reflects the features of human consciousness and it is the apocalyptic, because its meaning is revealed only at the eve of global cataclysms. 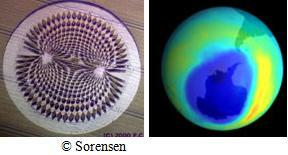 In 2000 ETC introduced a symbol of Earth magnetic field in crop circle. It appeared exactly two months prior to opening the ozone hole of unprecedented sizes. By the date of this crop circle ETC pointed the last period before global cataclysms beginning. ETC began to transmit an annual report of Earth magnetic field condition. Our Transition can be made only up to second preliminary cataclysm. After it the Transition becomes already impossible. The quantity of people will be insufficient to cause action of the united consciousness necessary for a body transformation. After the third pre-cataclysm life of Earth’ civilization will be interrupted by global cataclysms beginning. Nobody can escape from global cataclysms alone. Only all civilization simultaneously can make the Transition to other safe level of the material world in the united consciousness mode. Our Transition has this chance only up to second preliminary cataclysm. The criterion of mankind’ Transition in a new cycle of life is a quantity of people uniting consciousness under the common goal. Today population of Earth – 6.8 billion. For various reasons every day hundreds of thousands of people die, and new born babies do not accept decisions. Today each individual is counted for the Transition. It is necessary to stop suicides. Unification of mankind consciousness for the Transition in the next cycle of life will not affect nobody's private property. UNIFICATION OF CONSCIOUSNESS CAUSES AN ACTION. THIS ACTION DOES NOT OBEY LAWS OF THE MATERIAL WORLD, BECAUSE IT IS A RESULT OF THE REARRANGEMENTS OCCURRING IN THE INFORMATION CELL. THE TYPE OF REARRANGEMENTS IS DETERMINED BY THE CHOSEN GOAL. Levitation, telekinesis, remote viewing, intuition, dowsing, clairvoyance, etc. and other phenomena of the united consciousness action is a result of rearrangements in the Information world. The united consciousness action does not obey laws of the material world and that’s why cause phenomena. ETC use the united consciousness action for teleportation. By teleportation ETC flight through the universe and overcome hundreds of millions light years. The basis of teleportation and our future Transition is the united consciousness action. The criterion of salvation and continuation of human life is love. We need to open our hearts towards all-encompassing love for everyone on Earth. Extraterrestrials warn that the civilization of Earth will turn into a ghost civilization, if we do not make the Transition into the next life cycle through unification of consciousness before the second pre-cataclysm. Contact with ETC already happened long ago, despite of forecasts of famous fantast Arthur Clark about a possible meeting with ETC only in 50 years. ETC for a long time have been already on Earth. For several millennia ETC have created huge number of complexes forming the System of Information Transmission (SIT), which has covered all world. These are objects for the preliminary acquaintance with symbols of consciousness. Through crop circles ETC transfer breaking news. It presents ETC symbols of the united consciousness in stone. It is cells and a crescent. Complex represents the process of the united consciousness formation. It shows the expansion of an information cell’ brain area at consciousness unification. Idols of Easter Island with eyes represent an image of human being and his information cell as a red cap. This uniform complex informs about past, present and future consciousness of mankind. It is similar to highland complex of Machu Picchu. Its terraces present dematerialization and the Transition of mankind through consciousness association. The complex represents the process of mankind’ consciousness unification. The Avenue of the Dead reveals long evolution of consciousness. 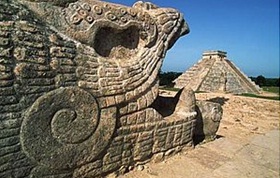 Shadow effect of the Serpent coming down from the top of Kukulkan pyramid signifies the beginning of global cataclysms. The only way for humanity salvation is the Transition. 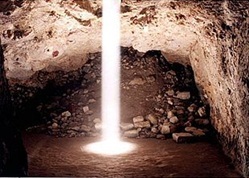 Stream of light that illuminates the floor of the cave at the zenith of sun represents the laser beam, which will cause the united consciousness of civilization for the Transition. Serpent is a symbol of global cataclysms, which mechanism of occurrence is included in the nature of the planet. 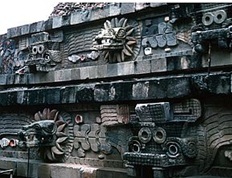 The Feathered Serpent and the Serpent of Fire - Tlaloc. In the high-mountainous multilevel complex of Peru ETC clearly presented to mankind dematerialization from level of global cataclysms. All stages of our Transition in a new cycle of life reveal one after another from top to bottom complexes: Chachapoyas, Sillustani, Cuzco, Sacsahuaman, Machu Picchu, Chan Chan, etc. The principle of vertical separation of the information is used. 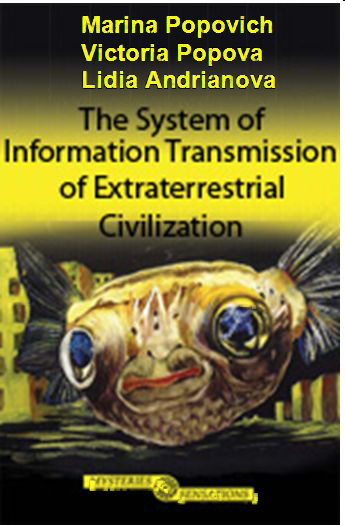 Through information technology unknown to mankind ETC tell about necessity of civilization consciousness’ association. Сomplex of Peru complete pictograms on plateau Nazka where the Nazca Lines inform about development of mankind consciousness. Objects of ETC System of Information Transmission are distinguished by uniform symbolic despite different style of information transfer around the globe. An information cell and quantitative symbols are presented in all objects. A trident and a crescent of the united consciousness are less common. The presented dictionary of consciousness on more, than 200 most common symbols of ETC allows to decode many hundreds messages. Now everyone can read ETC pictograms. All messages, since the ancient times, inform about necessity to unite consciousness of civilization for the Transition to a new cycle of life at the new Highest level of the material world due to onset of global cataclysms. 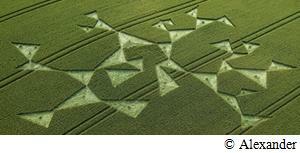 Crop circles indicate that this moment has come, and give the last instructions for the Transition. Step by step. ETC represent the program of our close and far future. In solar system mankind should made three Transitions from the Earth, Venus and Mercury. After completing solar system we will continue life in another planetary system of six planets, and then on five single planets. After Mercury we will reach the highest level of consciousness and will flight though the universe. However our future depends on our decision today.